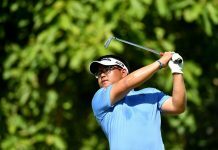 Sentosa, Singapore, August 28: The sky is the limit for Korea’s Jeunghun Wang. 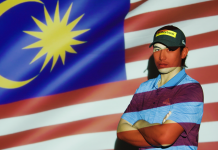 Touted as one of Asia’s emerging stars, the talented 21-year-old has played his way into golf’s annals with several memorable victories around the world. By securing back-to-back titles at the Trophee Hassan II Tournament in Morocco and AfrAsia Bank Mauritius Open in 2016, Wang became the youngest golfer in European Tour history to triumph in successive weeks at the age of 20 years and 251 days. In achieving a career milestone, the slender Asian Tour star also became the first Asian to win back-to-back tournaments on the European Tour. He went on to claim another huge victory at the Commercial Bank Qatar Masters earlier this season to further cement his growing reputation as a player to watch on the big stage. In addition, Wang’s trophy cabinet at his home in Seoul also includes the prestigious Sir Henry Cotton Rookie of the Year award which he picked up at the end of last season. Staying true to his roots, Wang fondly remembers how his career flourished after cutting his professional teeth on the Asian Tour. To him, the Asian Tour is a place where he calls home and had provided him with the platform to propel his career. 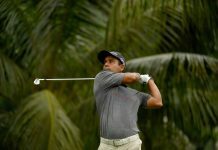 “I learnt a lot of things on the Asian Tour. I learned from many great players. This is actually where I started from … I’m so honoured that I started from Asian Tour,” said Wang during the filming of the Tour’s #whereitsAT phase two video promo campaign. His journey as a professional golfer did not start off quite as smoothly as he had envisioned. 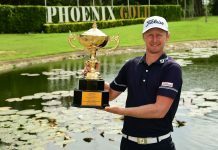 Numerous missed cuts and a bitter defeat at the 2014 Dubai Open where he had led with one hole remaining proved to be painful experiences. However, he used those difficult times to become stronger. Many aspiring players would have been discouraged but Wang picked himself up and learned from other top players on the Asian Tour. “I like to watch and learn from the good players and watch their swings,” he said. In 2014, Wang did not miss a single cut from 16 starts and earned captain’s pick to represent Team Asia in the 2016 EurAsia Cup. It was at the biennial team event that the likes Jeev Milkha Singh and Anirban Lahiri predicated that Wang could go on to become a Major winner. Subsequently, he broke through in Morocco and Mauritius in May. “The Asian Tour is my home Tour and I think it’s one of the best tours in the world,” he said. News on Jessore President Cup golf Tournament.